If you've been following this blog for a bit, you may remember how I've been working to build a wardrobe that works for those transitional times - first trimester, post-partum, nursing all the time, etc... (Missed it? 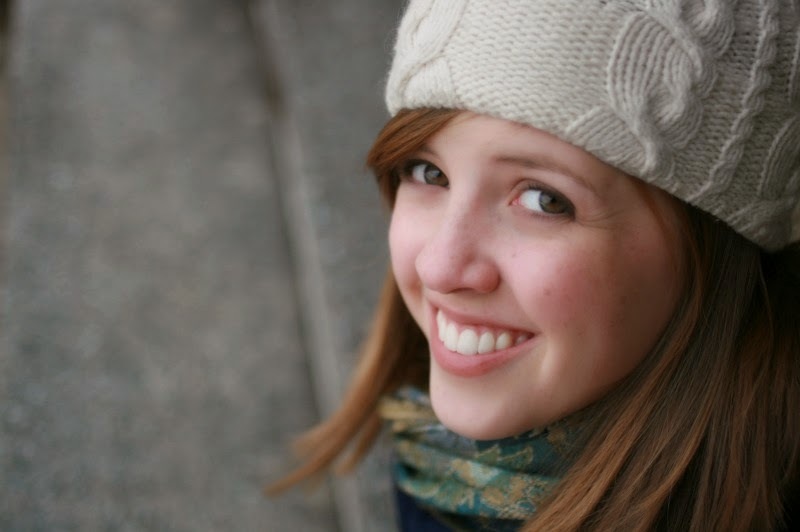 Here it is: Mom Style: How to Start). And I've been kind of excited to see how my new philosophy of dressing (and my new wardrobe additions) ended up working in this first trimester of pregnancy. Am I in the second trimester? I think so... 14 weeks is 2nd, right? Oh it all gets so confusing! Anyway, it seems like things are working really well! I *did* go online shopping, probably the day we got that positive test... 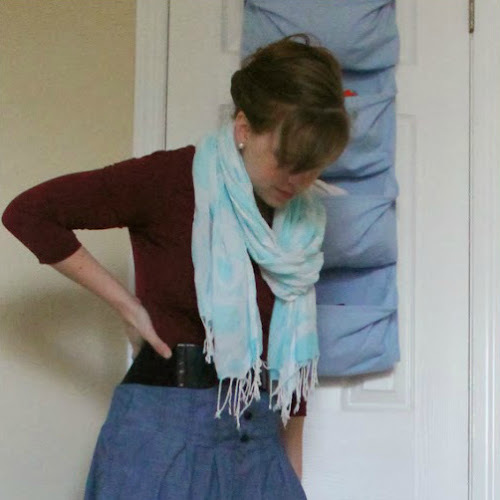 I got a super-comfy maternity jersey skirt (similar to this one) that I know is going to last through this whole pregnancy, no problem! Yup, this was that first week... With my stomach muscles the way they are, I could easily look pregnant in the right outfit, but I didn't *want* to look pregnant yet! Belting a tunic over a pencil skirt is one of my favorite looks, and if you're a skinny jeans-wearing lady, it works great with skinnies, too. 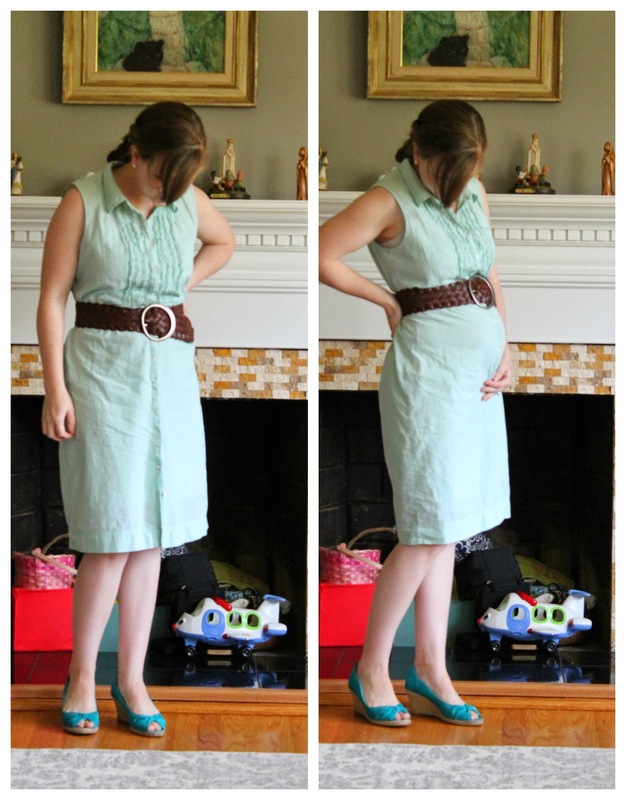 Move the belt up higher on the ribcage later in the pregnancy, and the outfit's still good! 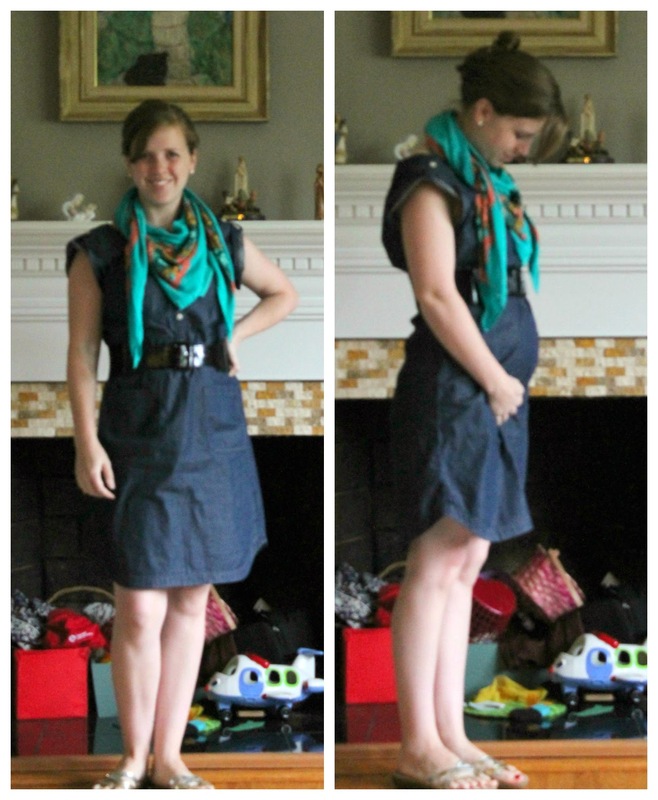 Here's that skirt again, and me about 6 weeks pregnant. 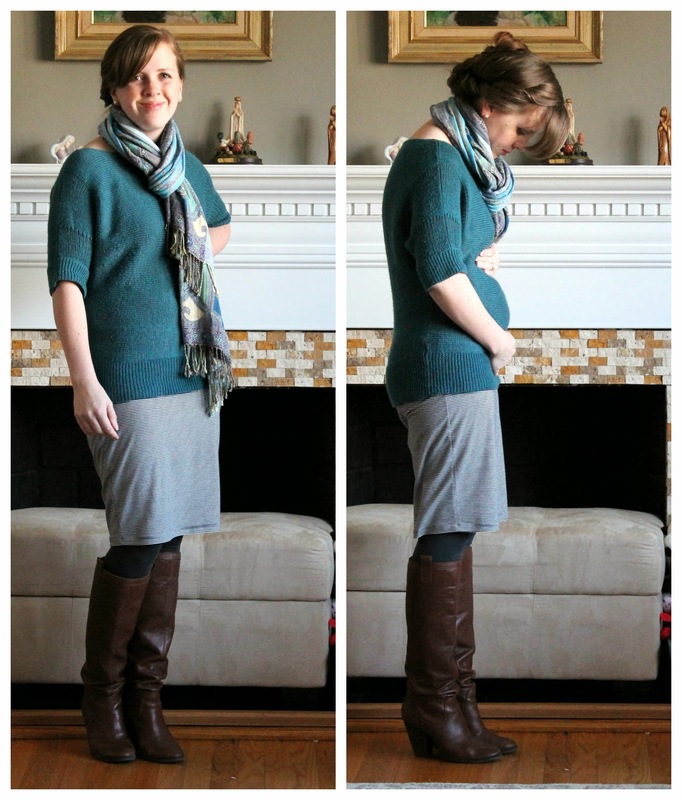 Do you see what a nice slouchy sweater and scarf can do to hide a bump? It's too warm here for sweaters now, but a nice drapey top will serve you well! 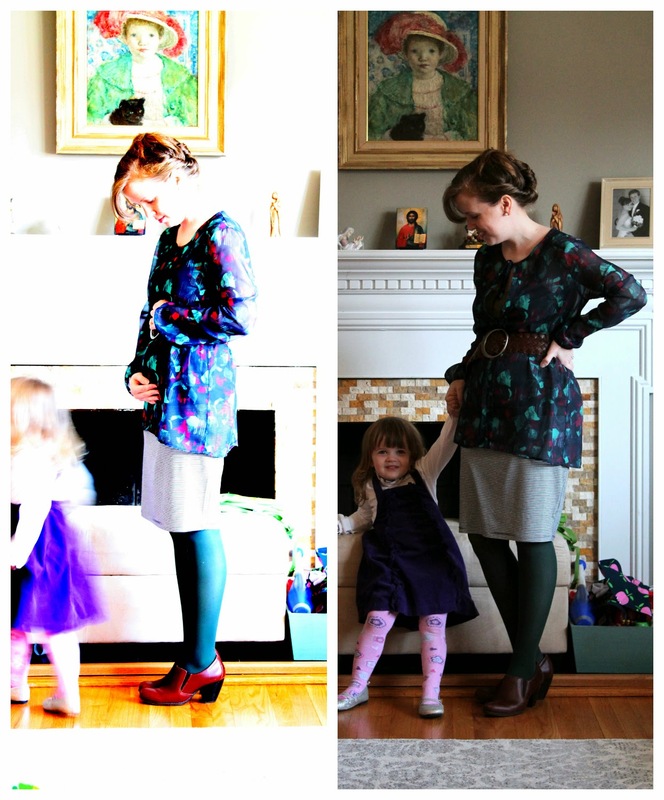 Dolman sleeves are my favorite, and banded bottoms work really well early in pregnancy and ESPECIALLY post-partum. Full skirts are your best friend! 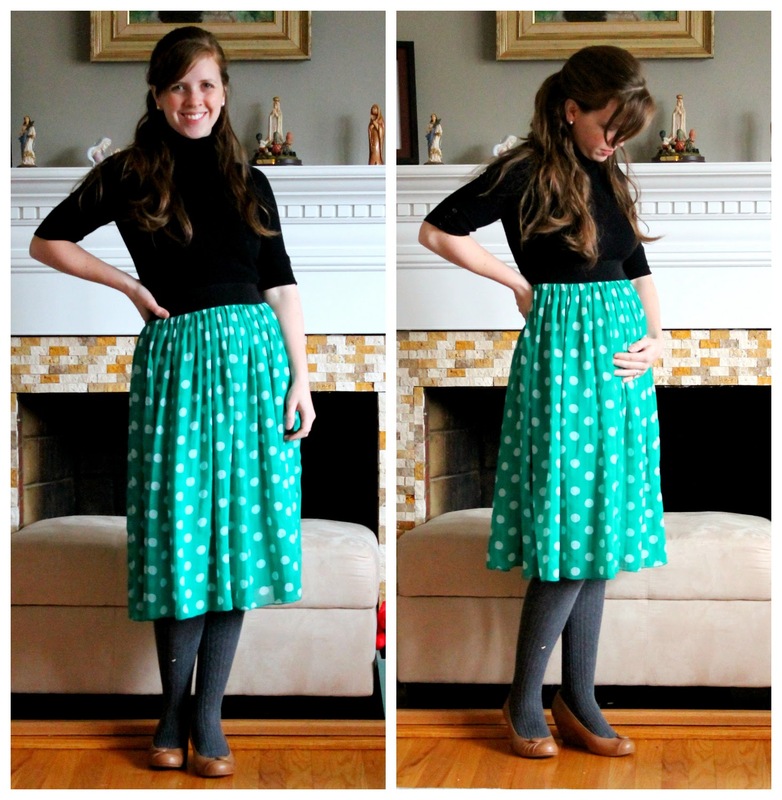 This skirt has served me well over the years (and it's on its last legs, sadly...) - full skirts are SO forgiving, and I love how all I have to do is hike up the waistband and suddenly it's a maternity skirt! Because of the extra fabric, there's a lot of room for belly without it turning into a high-low skirt (I'm talking 30 weeks worth of twins room - it's magical!). Don't be afraid of dresses! I can't tell you how many times I hear people say, "Oh, I never wear dresses because I can't nurse in them." NOT TRUE!!! There are so many styles of dress that you can nurse in! Try (and tie) a button-down! This is one of my favorite looks, pregnant or not - if you get a shirt in the right material, the long sleeves won't matter in the heat, because it breathes. But you can find them sleeveless too, no problem! 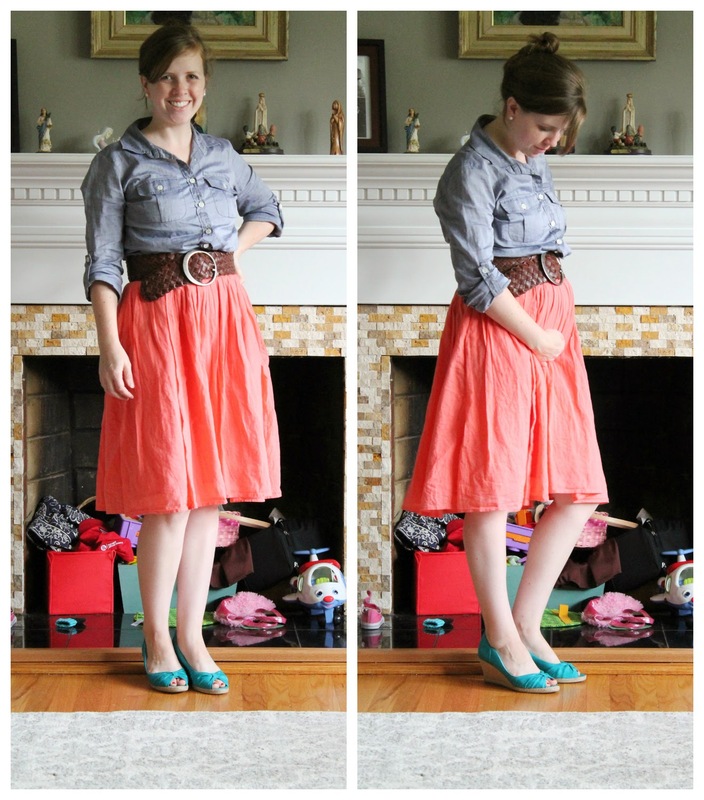 Tie it over a dress, belt it over a skirt, do a half tuck with your skinnies or a pencil skirt. This makes me feel SO much more put-together than just a simple t-shirt. I used to steer clear of "shapeless" dresses, but now I gravitate toward them - they're so forgiving to a less-than-flat tummy, and all you have to do is hike your belt up to make it a maternity look! It might even be worth going up a size if it means a dress will work for the first trimester AND post-partum, honestly. 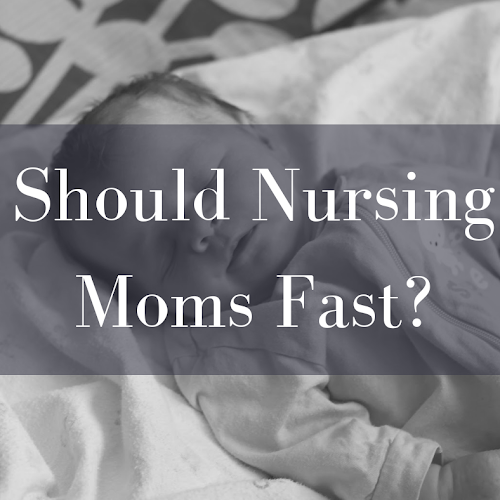 All of the above outfits have proven to be nursing-friendly (even tandem-nursing!) 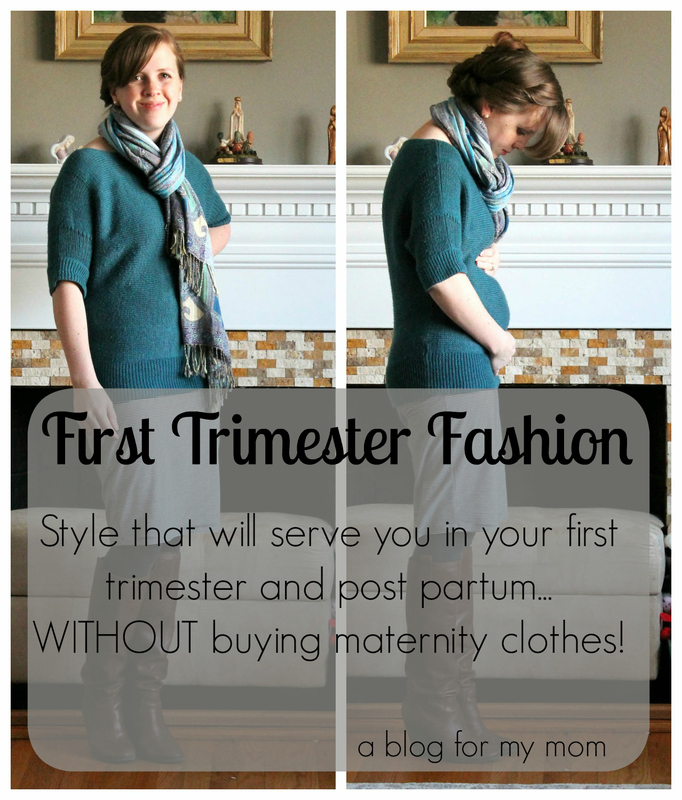 and first-trimester friendly, which means that for me they're post-partum friendly, too! Figure out where to shop! 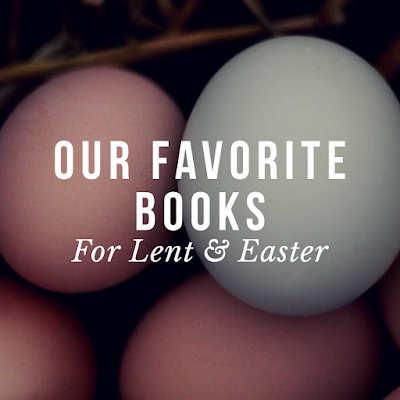 I love eShakti and ModCloth for their vintage-style clothes, and I love that I can find the brands I love on ThredUp (they even have maternity clothes now!) without having to pay full price. And you know what I love about all of it? Not leaving the house! There will come a time in your pregnancy when you need to buy some actual maternity clothes - check out my maternity shopping guide to find the best stores to try! 7 Quick Takes: Really Boring Garden Progress!